Demand for fuel cell technology is growing rapidly. Fuel cells are being commercialized to provide power to buildings like hospitals and schools, to replace batteries in portable electronic devices, and as replacements for internal combustion engines in vehicles. PEM (Proton Exchange Membrane) fuel cells are lighter, smaller, and more efficient than other types of fuel cell. 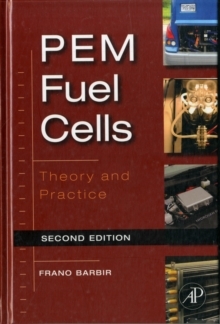 As a result, over 80% of fuel cells being produced today are PEM cells. This new edition of Dr. Barbir's groundbreaking book still lays the groundwork for engineers, technicians and students better than any other resource, covering fundamentals of design, electrochemistry, heat and mass transport, as well as providing the context of system design and applications. Yet it now also provides invaluable information on the latest advances in modeling, diagnostics, materials, and components, along with an updated chapter on the evolving applications areas wherein PEM cells are being deployed.